Our office provides Driver Helpful physical exams for commercial drivers and others who are required to have a physical. (Click Here) to learn more. 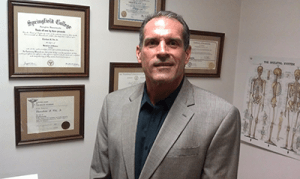 Looking for a DOT Drug and Alcohol Testing in Elk Grove Village, Illinois? You’ve come to the right place! Any person operating a CMV requiring a CDL in intrastate or interstate commerce is required to participate in a DOT Drug & Alcohol Testing Program. Owner-operators must register with a consortium and participate in the Consortium’s random testing pool. A Consortium/Third-Party Administrator (C/TPAs) is an entity that manages all, or part, of an employer’s DOT drug and alcohol testing program. I would welcome/appreciate an opportunity to provide those services to you. We have a dependable/reliable DOT certified drug/alcohol consortium program that is very competitively priced. The consortium will be tested at the 2018 FMCSA rate of 25% for Drugs and 10% for alcohol. 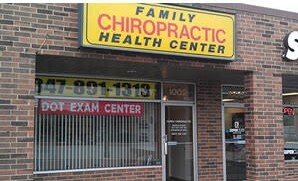 My office, Family Chiropractic and D.O.T. Exam Center is your intermediary with the TeamCME consortium. We will do all of the contact/service work directly with you and would enjoy being your “one stop” office for all of those needs. Our office strictly adheres to the required components of DOT standards in all of our testing, which means you can rest assured that your program will pass a DOT audit anytime. We monitor your company, its employees, and your drug and alcohol program to ensure compliance at all times, so you can focus on your business. My staff and I are dedicated to providing accurate results every time. Our certified staff only administers DOT-approved Evidential Breath Testing devices (EBTs). Procedures are meticulously controlled in order to ensure that all results are admissible in a court. We look forward to helping with your Drug and Alcohol Testing Program needs. Please contact us directly with any questions.